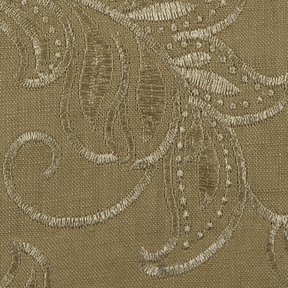 The product photo above is a 4 inch square section of Linen Touch Greystone upholstery fabric. Linen Touch is an attractively priced 100% linen construction coordinating directly with Linen Lace, Linen Leaf and Linen Floral. It rounds out the group to make stunning linen story collection. Perfect for home décor, window treatments and bedding ensembles.